Welcome back to the Dores Dental blog! What brings you to our virtual practice today? …prevent cavities and tooth decay? …hang on to all of your teeth? Then you came to the right place! We are here to be your partner for oral health in Longmeadow, MA. Developing strong habits at home like the daily brushing and flossing of your teeth will be important. But so will your regular office visits, that we’d like to see happen every 6 months. That’s when we’ll get to do our part to keep your mouth fresh and clean, and your smile looking bright and white. When you are here, we will thoroughly clean your teeth and take an in-depth look around all the regions of your mouth to make sure that nothing has gone awry. Remember, it is always better to catch any emerging issues early enough to make a difference. The longer you let something go, the more painful and costly the problem will become. Beyond our professional cleanings and dental exams, we can also offer further levels of preventive dentistry, such as fluoride treatments. These can go along way to protect your teeth from disease and decay. What’s more, they’re quick, easy, and non-invasive. Your teeth are always under assault by bacteria, tartar, plaque, and the like. Did you know that tooth demineralization happens every day when acids attack the enamel of your teeth? Fluoride helps balance out this process by bringing back lost minerals (this is called remineralization) and making the enamel strong again. In fact, repeated exposure to a sufficient amount fluoride can strengthen your tooth enamel and help repair any spots already ravaged by plaque-related acids. That said, too much fluoride intake, shockingly, can cause mottled, brown, and discolored teeth. As with most things, it is important to find a healthy balance. Are Fluoride Treatments For Everyone? When you are here for your next regularly scheduled appointment, our team can also help you ascertain your level of risk for tooth decay and help you decide whether or not you will benefit from one of our fluoride treatments. Grown-ups, like kids, can often benefit from fluoride treatments. Still, it is particularly important for young people (whose primary and permanent teeth are starting to come in) to take advantage of some extra protection. Don’t worry, there’s nothing too it! We will simply apply fluoride to your teeth, leave it on for a few minutes, and rinse it off. That’s it! If need be, we can also prescribe fluoride supplements to keep your oral health on the good road. 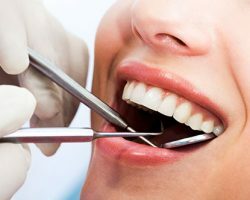 Keep in mind, taking such preventive measures now is always better than dealing with all the hassles of dental fillings, root canals, and tooth extractions at a later date. Your smile is too important not to partner with a dentist you can trust! Have you been inspired by today’s blog post to take the next step? Great! You can schedule a fluoride treatment today with Dores Dental. Just call us at 413-241-3995 or click here to arrange the details of your appointment. We can’t wait to get to work!